Master trampoline tricks from Spider-Man: Homecoming! While we’ve always seen some pretty fancy flying, swinging and flipping around from Spider-Man, things have stepped up a notch in the latest Spider-Man: Homecoming. In this movie, we got to see some fairly incredible tricks and stunts thanks to leading man, Tom Holland, whose background in gymnastics and dance gave him the skills needed to take this role to the next level. Tom’s first role was on the stage as the dancing and singing child-star, Billy Elliot. With a strong background in movement, he was the perfect choice to don the spidey suit. On his audition tape, he performed some pretty stylish parkour tricks and flipping in and out of shot, and it was his enthusiasm for handstands and moving around that caught the eye of directors. The rest – as they say – is history! If you haven’t seen Homecoming yet, we highly recommend it: it’s a great watch. In the meantime, learn how to master two of Tom’s most impressive spidey tricks on your own Vuly trampoline! Remember: Tom Holland is a trained gymnast! Only try these tricks if you've received proper training too. We loved seeing Tom flying through the air and knocking out those awesome backflips – and while he makes it look way too easy, we know that they’re truly tough to master! That said, once you have perfected the backflip, you can pretty much do them forever – and they’re so much fun! Want to become a backflip pro? You’ll need a good trampoline – definitely one with a good quality safety net around it, so that you don't risk falling off the side. Practice jumping in the air and falling flat on your back – just to get used to the sensation of falling backwards. It’s going to be a new sensation, and you’ll need to get used to it! Swing your arms as you jump, and reach back past your head. Jump onto your back, and roll off your back onto your feet once you have landed. 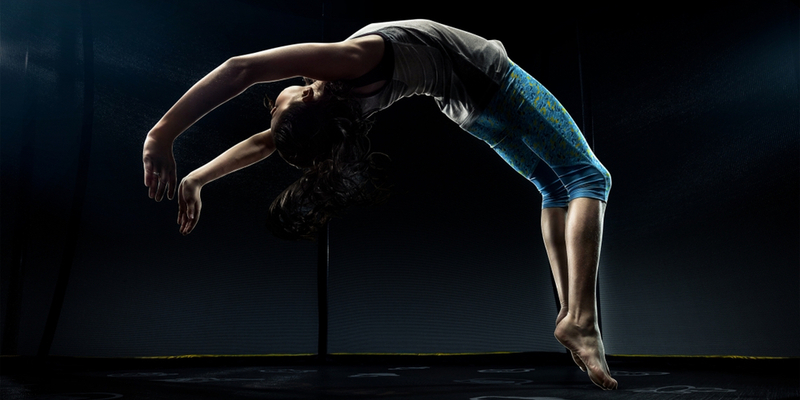 Make sure that you keep your legs up – don’t let your feet hit the trampoline. Reach up and tuck a little, but don’t jump into your tuck. Then fall onto your back again just to get the motion. Commit to a backflip. You can do it! Jump up, tuck, perform the rotation backwards and then land on your feet. If you land on your stomach, that’s cool. Just get confident sticking your landing. Pro tip: The main that thing people mess up when they backflip is that they look over to the side. This can pull you off centre! The main thing that you want to do is keep your gaze straight forward and settled. We loved seeing all the footage of Tom training for the role and practicing his flips and tricks; one in particular that caught our eye was the '180 backflip'. In a 180 backflip, you start off facing in one direction and during your backflip, you rotate sufficiently to end up facing the other direction when you land. To be able to conquer a 180 backflip, you first need to master a standard backflip (see above). Once you can do that confidently, you can get started working on your 180! Do a few of your normal backflips and some high jumping to practise and warm up. This will help to get your body ready. Get on one side of the trampoline, facing outwards at the edge. Make both hands into fists and bring your arms back as far as they can go – both behind your back hip. Take two jumps. The first is small, and the second is higher. On your third jump, go into a backflip, while at the same time swinging your arms hard to the left. Your arms will rotate you into the direction that you need to go, and you should land facing the other way. Pro tip: This can feel a bit weird when you first start, but stick with it because this trick is truly impressive. What’s your favourite trampoline trick to bust out? We’d love to see your moves! Don’t forget: half the battle is having the right gear. 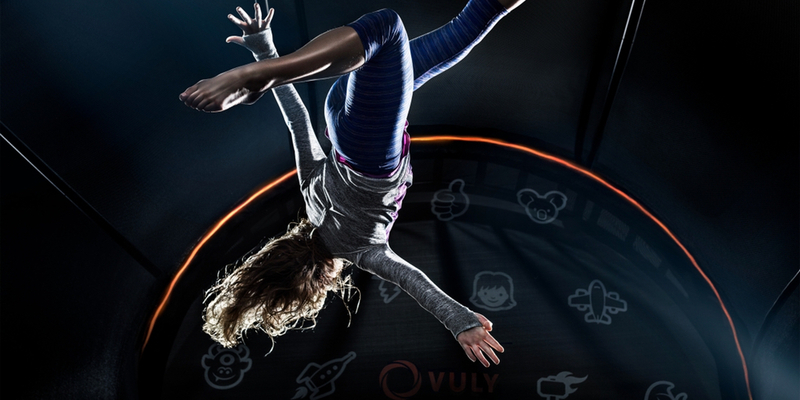 With Vuly you don’t have to worry about that; we have the best range of trampolines to get you flipping and flying.